"The one that plantS the Divine seedS into the Earth"
After a career that scaled the heights of corporate success as a CEO of global companies, I reached a turning point in my life – material success and trappings had not necessarily made me really happy or fulfilled. I had the big degree, big job and success that most people aspire for, but I was not happy. I decided to completely change my life and embarked on a journey of self-exploration and meditation that took me from working with Mother Teresa’s mission in India, to the jungles of Peru in search of finding meaning in life and fulfillment beyond the material demands of society today. Through seeking to transform my own life to live with a higher purpose, I made a life-changing commitment to helping others in their search for peace, harmony and happiness. During the last 10 years and my transformative journeys across Asia & South America, I had rare opportunities to study and meditate with master healers and teachers of all faiths. I am trained in Shamanism, Plant Medicine, Medical Reiki, Sufi Healing, Sound Healing, Meditation, and Herbalism. The big transformation happened many years ago when I started to dive into plant medicine & shamanic work. I started to work with specific energies and Spirits who channelled to me the method of healing I am using today. 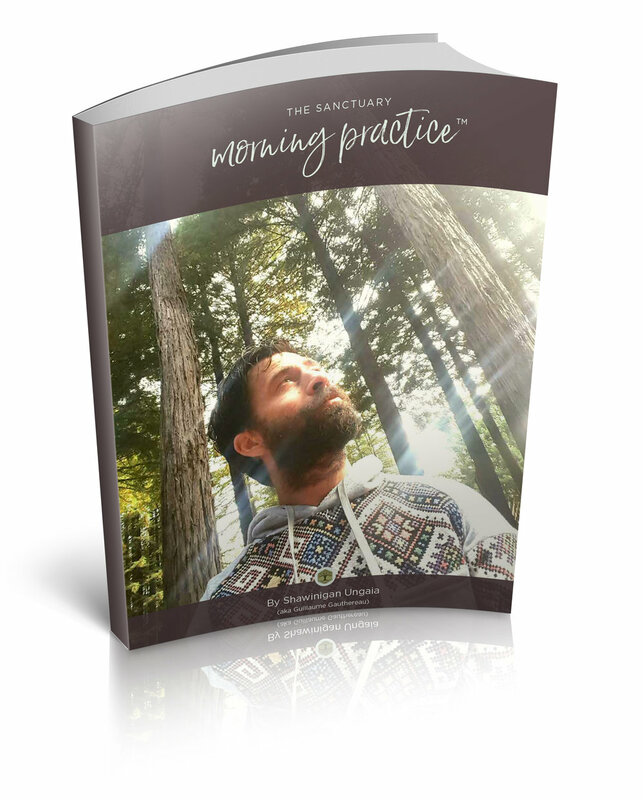 This method mix channeling, tantric & somatic energy work, breath work, runes, and connection to Divine masters (Archangel Michael and Christ most frequently). It is a very powerful energy healing which gives profound results on physical, emotional, mental and spiritual trauma. In 2015, I opened The Sanctuary Healing Center on my property in the Catskills where I do in depth work with my clients, hosts workshops and cultivates the land for organic vegetable farming, plant medicine and honey bees. · For Corporate Leaders and corporations: Awakened Leadership Course™, Speaking engagement and consulting. Born and educated in France, I also holds a PhD in Veterinary Medicine & Surgery from Maisons-Alfort, France. I resides at The Sanctuary in the Catskills and travels to New York City and all over the world for my work. Sign up with your email address to receive news and updates about events, retreats and workshops!